A split-second decision thrusts Detective Jimmy Vega into the epicenter of a disturbing case when a body is found near a gathering place for immigrants in upscale Lake Holly, NY. The cold-bloodedness of the crime and the innocence of the victim torment Vega. In a community gripped by fear of deportation, Vega needs the help of his girlfriend, activist Adele Figueroa, to gain people’s trust. But Adele is acting strangely, consumed by a secret that threatens to tear them apart. When the case takes a personal turn, both Vega and Adele discover that Lake Holly’s tranquil façade hides a terror of monstrous proportions, poised and ready to strike again. To confront the killer and save their relationship, Vega and Adele must forge a new level of trust—in each other, and in their most deeply held beliefs—to expose an evil that threatens to eclipse anything they’d previously imagined. Written with equal parts passion and suspense, A Blossom of Bright Light takes readers on a journey of stunning revelations to uncover a small town’s most sinister secrets—and brightest hopes for the future. Mystery, sacrifice, and unremitting love converge in this gripping work by a master storyteller. This book starts slow as a decision made at night creates great guilt in the morning. The story takes place in the twilight world of illegal and other immigrants. Before it ends, the depths of depravity and evil have been revealed. The story itself is quite good, and the characterizations are perfect. The reader is quickly drawn into empathy with all the main characters. As the investigation proceeds, the dark sides keep being revealed. There is a powerful moral issue in the environment of the new immigrants, who are largely at the mercy of the more powerful and less ethical. The book indirectly makes a strong statement about the issues facing the undocumented and the effects of those who take advantage of them. While it is well worth reading for a number of reason, the fact is the story is powerful and emotionally appealing. The ending is surprising, somewhat satisfying. Read it to find out. I couldn't put this down! I stayed up way past my bedtime to finish this book. Detective Jimmy Vega's relationship with Adele Figeroa, Harvard graduate lawyer running the Latino community center, La Casa, in Lake Holly is wonderful when they are together, but lately there seems to be a drifting apart he can't figure out. When Vega's 18 yr. old daughter Joy is suspected of involvement in the death of a young woman whose remains are found at her college campus his determination to prove her innocence puts more pressure on his time and his position at work. The life of immigrants in the US, especially those who do not possess a green card, is an eye opener to most middle class people. This novel tells their story in riveting detail that reminds me of the society norms of a century ago. Compounding this with the political maneuvering of those wiling to succeed in their chosen area of fame and fortune made this a story I couldn't put down. Two plots running at the same time, one focusing on Adele and the other on Jimmy, had me cheering they would find time to talk and to admit to themselves, as well as to each other, what they really need in their lives, be it alone or together. As a stand-alone book this is an excellent novel. As a series I want to read more about these characters. 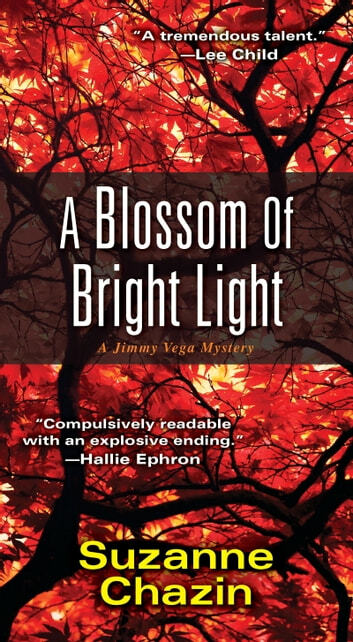 A Blossom of Bright Light by Suzanne Chazin is the second book in A Jimmy Vega Novel series. It takes place in October in New York City. Detective Jimmy Vega needs to find out who left a little baby out in the cold to die behind the community center (La Casa) started by Adele Figueroa (and Jimmy’s girlfriend). Then they find the mother of the baby, and she is wearing a jacket of Jimmy's daughter, Joy (a college student who lives with her mother). Jimmy sets out to clear his daughter and find out who harmed this young woman and her baby. Adele is offered a great opportunity. She has the chance to work with County Supervisor Steve Shulman who is about to be elected to the Senate. It would mean uprooting her daughter, leaving behind her community center and Jimmy. It is a difficult decision for Adele and she has yet to mention it to Jimmy. Jimmy’s investigation leads him down an unexpected path. Jimmy needs to make sure that all his ducks are in a row and that he has substantial proof if he wishes to arrest the culprit (and get justice for the young mother and her baby). I am afraid that I did not enjoy reading A Blossom of Bright Light. It just seemed to go on and on (I did not think I would ever get to the end). The mystery was child’s play to solve (which was so disappointing). I really tried to enjoy this novel, but I just could not get into it. I give A Blossom of Bright Light 2.75 out of 5 stars. 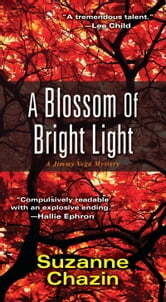 I received a complimentary copy of A Blossom of Bright Light from NetGalley in exchange for an honest review.